I have used the juxtaposition of scale extremes as an interest factor in decorating. Here I display items that are normally very small created way out of proportion. It is items like these that make my desk an interesting place to be. 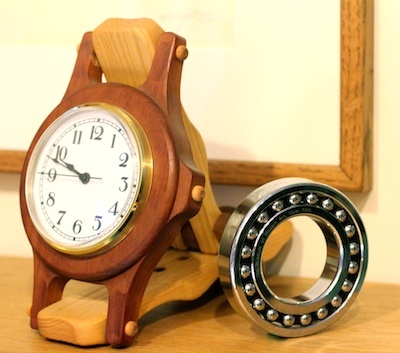 The wrist watch normally small and seldom made out of wood is instead handcrafted in a larger scale to serve as a desk clock. It is created by the Michaud family and available from Canvas to Clay. A ball bearing is a beautifully designed piece of engineering that is seldom displayed as sculpture. MOMA had it produced in larger scale and made available as a desk sculpture. 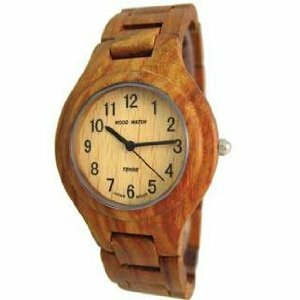 Eclectic wrist watches are sometimes made out of wood in actual scale for use on the wrist. Here is a link to one available through Amazon .